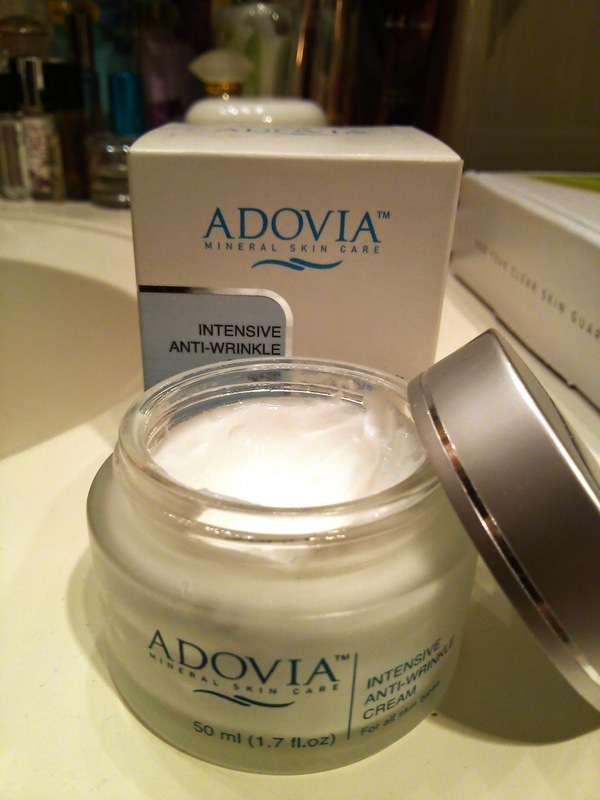 Adovia's Intensive Anti-Wrinkle Cream is a fast-acting cream that firms and tones skin, reducing the appearance of wrinkles, and preventing formation of future wrinkles. It is formulated with Dead Sea Salt Minerals, Lactic Acid, Collagen, Seaweed, Aloe Vera, and Sweet Almond Oil. This cream is very thick and hydrating. It makes my skin feel moisturized and nourished without greasiness or shine. My skin seems to react well to this cream and feels firmer. I prefer to use it at night, but it can also be used as a makeup foundation if wearing during the day since it has a kind of matte finish to it after absorption. I love how gentle this cream is despite it's age-fighting power. Like other Adovia products, it has a light unique fragrance. I don't mind it, although it's not my first choice in a fragrance. The only thing I would change about this product is the size of the jar. The 1.7 ounce size is fine but I would like to see it in a bigger jar like a cold cream. Since I use it a lot, I am almost out and will have to buy more. But besides that, I like the way this cream feels and it works well for my combination skin.